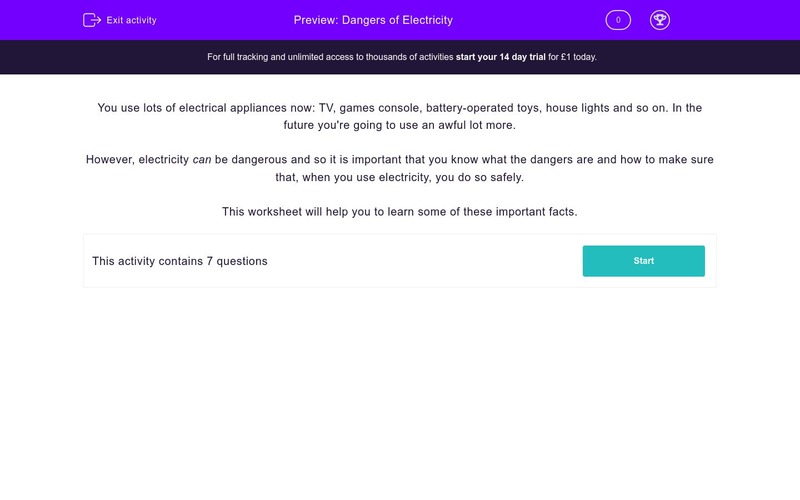 In this worksheet students have to consider how electricity might represent a danger to them and others and how to operate electrical appliances safely. You use lots of electrical appliances now: TV, games console, battery-operated toys, house lights and so on. In the future you're going to use an awful lot more. However, electricity can be dangerous and so it is important that you know what the dangers are and how to make sure that, when you use electricity, you do so safely. This worksheet will help you to learn some of these important facts. When experimenting with electricity in your science class it is important not to use mains electricity. The light switch in your bathroom is usually operated by pulling on a long string rather than flicking a wall switch as for other rooms. Which electrical switches do you think are safe for a child to touch? Some devices need a battery to make them work. What will happen if a battery is put in the wrong way round? Which of these statements about batteries is NOT true? Which one of these things is it safe to do with a battery? 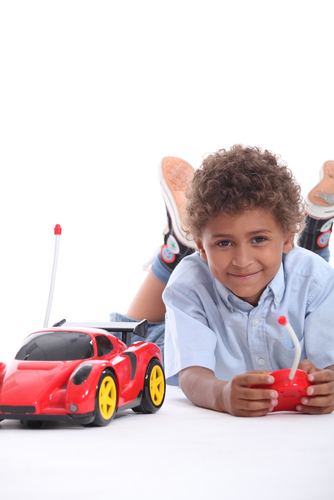 Tom has been given a remote-controlled car for his birthday! He puts some batteries into his car, but it doesn't work. Which one of these things could NOT be the problem? Mains electricity is very powerful (you will learn that 230 volts comes from the socket) and so we never do experiments with mains electricity in school or at home. If we want to find out about it we use batteries which are much safer (they give about 1.5 volts each). Because water can conduct electricity, there is a danger that, with wet fingers, you could become part of the electrical circuit when you touch a wall switch - you don't want that! So, to make sure that that cannot happen you pull on a long (safe) string to turn on the light and that keeps you and the electricity apart. It would be a bit of a bore if you couldn't turn on the light to your room - it doesn't offer any danger! However, it's all part of your education: knowing when things are safe and when to take extra care. Mains sockets have switches - they are where things are plugged in. You need to learn how to do this carefully as the connectors on the plug are bare and it is possible for you to touch them, which you definitely don't want to do! The good news is that when you put in the batteries incorrectly it's not a disaster - just annoying! That's because the device simply won't work - nothing explodes or catches fire. Batteries push electricity in a certain direction, so if you put one in the wrong way round, it can't push out any electric current. So the device just doesn't work. They might appear to be safe for small children to use but remember - they're very easy to swallow. Having said that, they are fairly safe objects and simply need to be used with common sense. Batteries contain dangerous chemicals - however, they're safe to use as you are protected from them by the battery's outer case. So, cutting it open or putting it in the fire could result in someone getting hurt. Children can swallow small batteries, so putting them into a toy is fine, as long as that's done by someone who's learned to do it correctly. Yes, he probably HAS put them in incorrectly - that's the most likely problem. Perhaps they have run down or need recharging, maybe his new car is actually broken but the one thing that cannot be the problem is that the batteries are the wrong size. If that was the case, they won't fit into his car anyway.